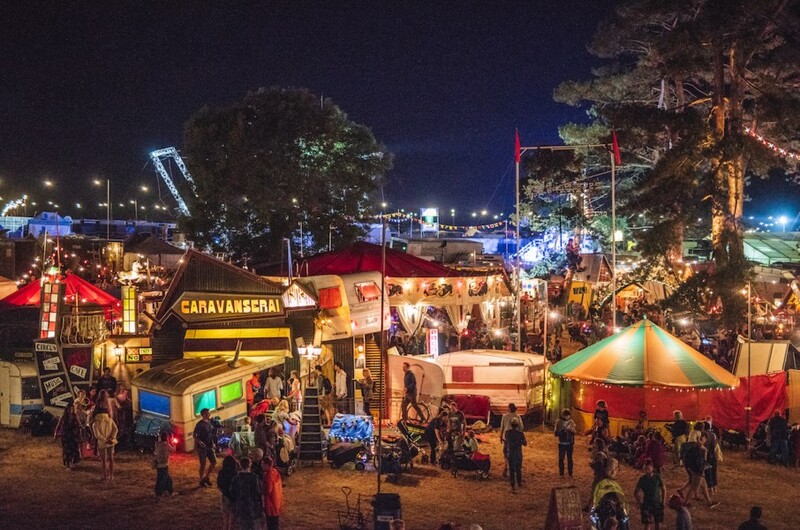 Caravanserai is literally the most exciting, leftfield, quirky, ramshackle yet perfectly built micro venue of any festival...in our humble opinion. Harbouring a decadent cocktail bar, and lovingly crafted from classic caravans and age-old Wurlitzers, Caravanserai will play host to vintage beats and swinging horn-powered delights from Afro Cluster, New Daze, Drop in the Ocean, Thrill Collins, Badcore Horns, Das Brass, Tarantola, Steve Ignorant, Batala Portsmouth, Junior Jungle, Scavengers, Still Hate Thatcher and Vibe Roulette. Plus there will be superhero song from Peepshow Paddy (Disco Shed), Monster Ceelidh Band, DJ Jack Hollywood, Rum Buffalo, The Cabarats, Joanna Leila, Tensheds, King Brasstards, Pronghorn, Guns of Navarone, Swing Patrol, Chris Tofu, Rimski's Bicycle & Count Skylarkin. “Caravanserai is your living room and the stage is the fireplace. Warm your hands on the vibes of the flames” Chris Tofu We are extremely pleased to welcome back the resident circus folk of Caravanserai, Cirque Bijou, who put on some of the best spectacles we’ve ever seen at any festival in 2018 and are promising even more jaw dropping stunts, tricks and treats for 2019. Bringers of the bizarre and the brilliant, during the day Cirque Bijou invite you to take a seat at the Circus Café, and select dishes that tickle your fancy from the circus menu cooked up by acrobatics, jugglers, and jokers. When the sun goes down, watch their aerial performers fly, their wire walkers balance in the night sky and catch their late night cabaret as they bring the Camionettes stage to life with fire and mayhem.